Horizontal baler is a kind of scrap recycling equipment. 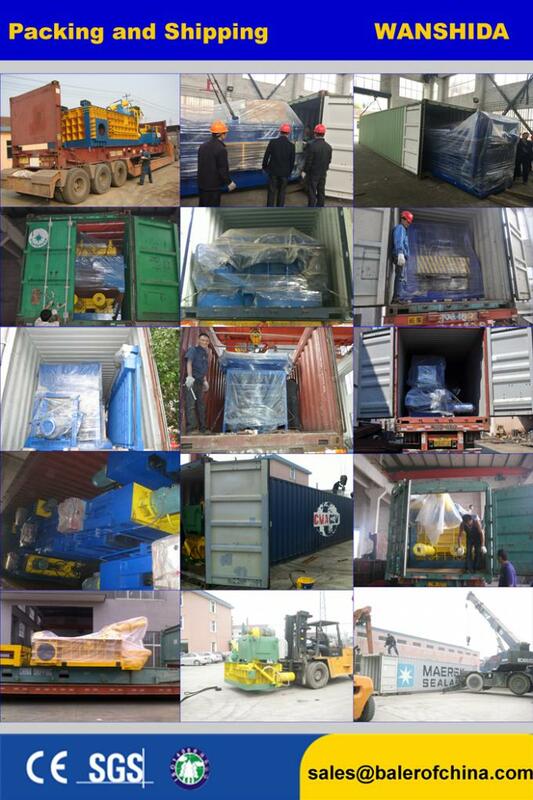 It can be used as waste paper baler, plastic baler and cardboard baler, etc. Our horizontal waste baler can be used together with mechanical feed equipment to reduce the material processing cost. 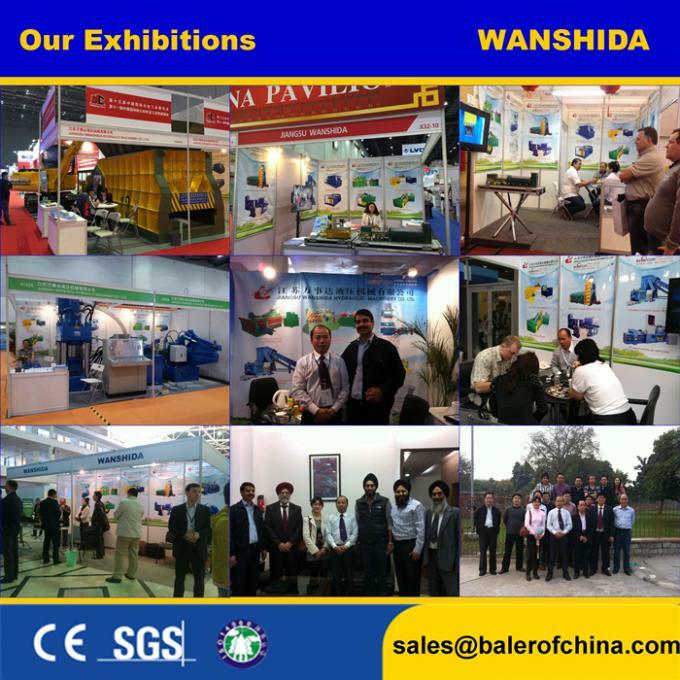 It is of high efficiency and can satisfy your various baling requirements. Variable feed opening sizes are available. This horizontal waste baler accepts the feeding materials from conveyor and air system. Feed hopper is designed with access door. This horizontal waste baler is fitted with bale size and it has full bale alarm function. 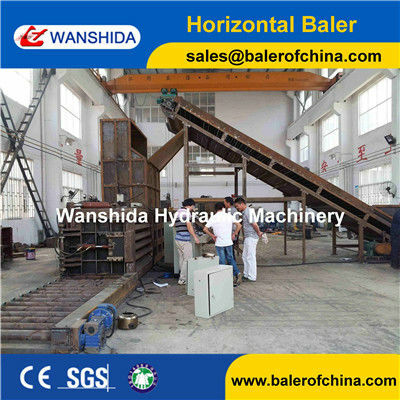 As a professional horizontal waste baler manufacturer in China, we can provide horizontal waste balers with automatic belting and horizontal waste balers with manual belting. 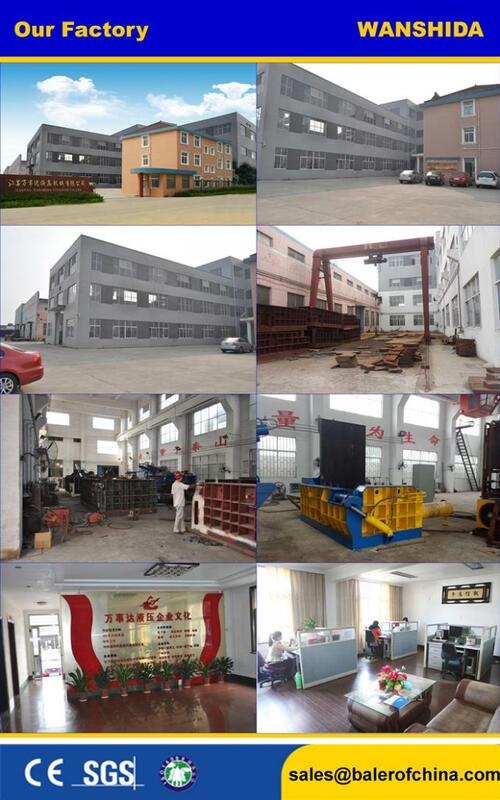 Besides, we also offer scrap metal baler, alligator shearing machine, vertical waste baler, and so on. These products are CE certified and are of high quality and low price. 1. This Y82W-125A manual waste baler is designed in horizontal structure. The optional 6m long conveyor belt can be mounted for feeding materials automatically or manually. 2. Switched by buttons, it is able to run safely and reliably under the control of PLC. 3. This machine supports manual binding operation. 1.The configured power is adjustable in consistent with the actual requirements of production. 2. Users can select the apron conveyor, scraper conveyor chain or belt conveyor as they want. The manual waste baler is mainly used to bale the waste paper like carton and news paper, scrap plastics like PET bottle, plastic film and recycle case, straws and other loose materials. Additionally, the compacting box and the bale of the machine can be designed in special dimension to meet specific demands of users.